About every two months, I send a little letter to some followers. 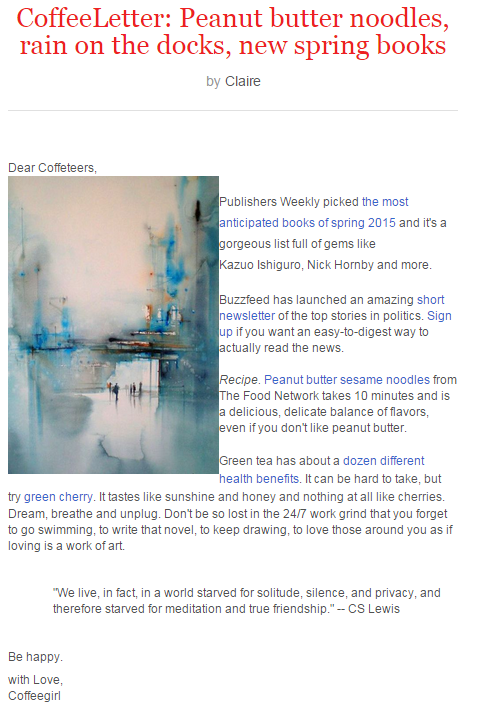 I hate spam, and overcrowded emails, and useless emails, and unfocused emails. 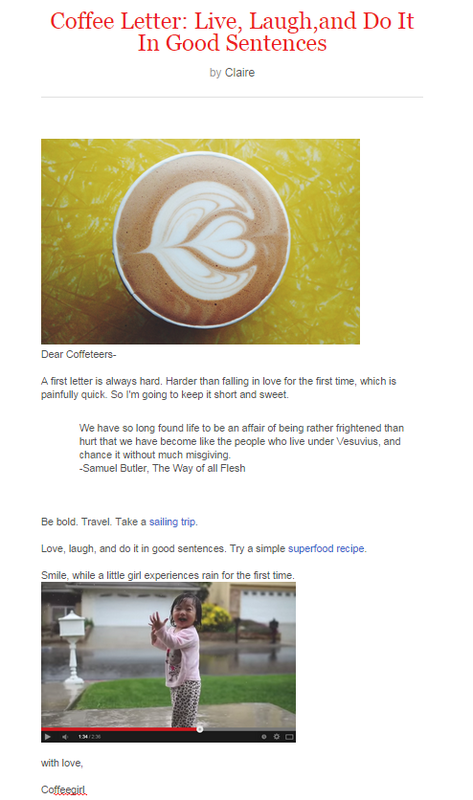 So the Coffee Letter is a bi-monthly collection of 3-5 things that I am enjoying and think will make your life better – a travel tip, a recipe, a book recommendation, a little inspiration, etc. View the most recent one here, and subscribe!